Surf, snow and—concrete? 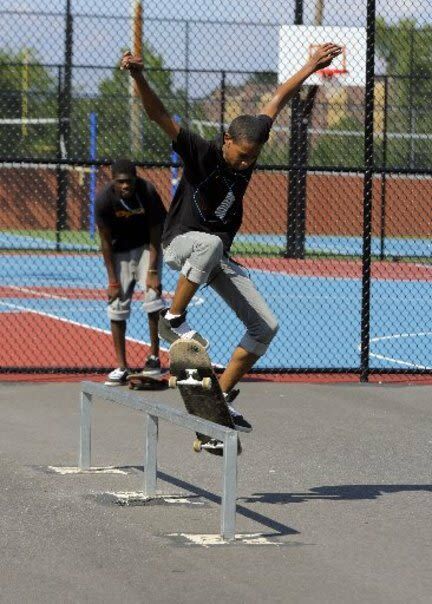 Sunny beaches and fresh powder are often out of reach for many city dwellers, but Newark's new Jesse Allen Park may just turn "bored" athletes into "board" athletes. This eight-acre park features a state of the art skate boarding area, playground and water play spray area, basketball courts, sports lighting, and a fitness zone.